Leading the fight for our families and small businesses. Protecting & Creating the Jobs We Need. What does it mean to be a small business owner today? It means hard work. It means navigating complicated red tape. It means making tough decisions to meet payroll and keep the doors open and the lights on. It means fighting for the American Dream. As a small business owner, Theresa Gavarone understands firsthand the challenges and triumphs of running a business and creating jobs. Theresa is leading the way to make it easier for Ohio’s small businesses to operate. From successfully fighting to prevent frivolous lawsuits to minimizing the impact of state regulations on job creators, Theresa has the back of small business owners. Theresa supported legislation to eliminate government mandates, cut unnecessary costs and co-sponsored legislation to create the permanent tax holiday in August for school supplies and clothing. Theresa will continue fighting to protect and create the jobs northern Ohioans need. Defending the Values That Define Us. As a wife, mother, and woman of faith, Theresa Gavarone believes every life is worth defending. In the legislature, Theresa has led the fight to ensure those without voices are heard, earning her the previous endorsement of Ohio Right to Life. Theresa supported and voted for efforts to prohibit abortions because an unborn child has Down syndrome, when the baby can feel pain, and when a heartbeat is detected. Theresa Gavarone is committed to protecting life at every stage. Making an Even Bigger Difference for Us. Our rights. Our traditions. Our freedoms. The 2nd Amendment represents so much to us all. “A” rated by both the NRA and Buckeye Firearms in 2018, Theresa Gavarone is no stranger to the fight to defend, preserve, and strengthen the rights of law-abiding Ohio gun owners and outdoorsmen. In fact, Theresa herself is a concealed carry license holder. Theresa supported legislation to protect law-abiding CHL licensees, eliminate Ohio’s antiquated “duty to notify” law and modernize our concealed carry laws. 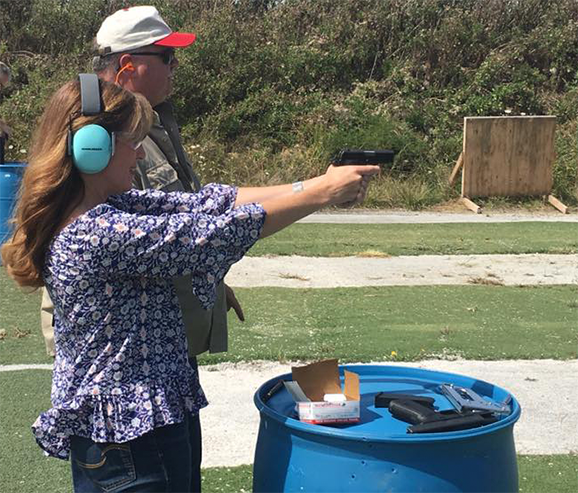 She also voted for new laws that shift the burden of proof in self-defense cases and waive CHL fees for active military and retired and honorably discharged veterans. Ohio gun owners can trust Theresa Gavarone to remain steadfast in the fight to protect our 2nd Amendment rights.